The Report view Tab displays an HTML report for a currently selected in the Tree View monitor or group. The tab shows a detailed report including a performance graph and all monitor state changes for a single monitor. 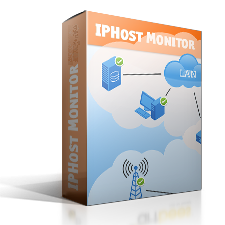 The tab shows a summary report for hosts, monitor types, and other monitor groups. Reports are described in more detail here. Reports contain hyperlinks to the parent items of the monitor or group as well as links to all monitors contained in the group, and to their hosts. When you click a hyperlink, a report for the corresponding item is loaded; besides, the item is selected in a tree in the Tree View Pane and its data is loaded in the remaining Parameters/Results Pane tabs and Logs Pane. Define custom reporting period – the default period is 1 day (24 hours) till now but it may be changed. Note that graphs always show average values for 10-minute intervals, so defining too short reporting periods is not practical. Indicate whether lines for stopped and / or newly discovered monitors should be shown in a report for any group of monitors. This setting also affects regular reports sent over e-mail. Back and Forward – provide standard two-way navigation as in a Web browser. When you use these buttons, not only the Report Tab content is changed but all the other panes are updated too. 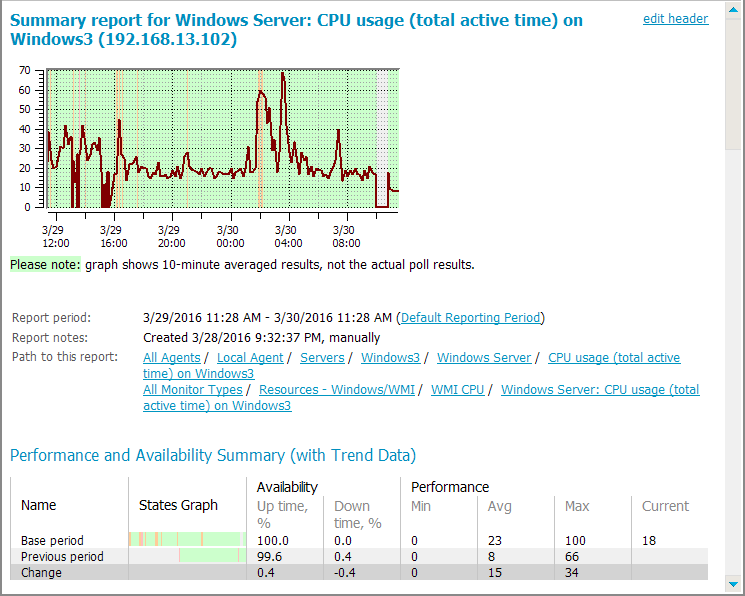 Refresh – reloads a report from the Web server; the report is actually regenerated using the latest monitoring data. Print – opens the standard system Print dialog that allows you to print a report. Open in Browser – opens the system Web interface in the browser and loads a current report. When Report Tab is active, reports are updated periodically (a progress bar in Report Tab indicates that the report is being updated). Individual monitor reports are updated after each poll or once a minute. Group object reports are updated once a minute. These updates can generate a significant CPU load if a selected group contains many monitors; if you want to avoid this CPU load, place the client GUI in the system tray (click the Close button at the right-hand top corner of the window) when you don’t use it.